John bought an amazingly realistic driving simulator with three 55" screens surounding the driving seat. Its insanely entertaining! It currently has RForce 2 installed, we've been driving the GTR. I tried the Vette but the steering takes a lot more work than the GTR. I'm sure we can make changes to the setup, theres screens for that. The formula cars are really hard to get used to, but I'll get there. RForce 2 seems to have some Dev community that I havent found yet. Use the Report a post feature... It works! I use iRacing for practice. You won't find more accurate tracks on any other commercially available program. No Viper unfortunately. 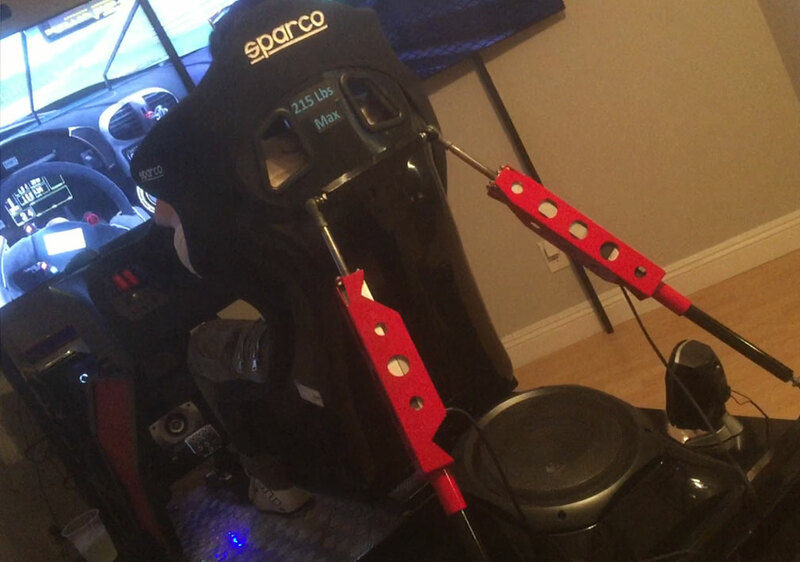 I'm not sure there is an offering out there that can rival iRacing in terms of car setup either. The setup pages for each car are extremely customizable mirroring their real life equivalents. I'll go check out iRace, it sounded impressive that they actually laser scan each track. Yes and in addition they take quite an extensive photo survey so real life braking and turn in references often translate. iRacing is a motorsports sim with actual sanctioning body backing where as most other offerings are geared either towards just driving or arcade like entertainment. I can't believe how inexpensive these programs are, for what you get. You can also run all versions of the ring on I racing and they recently released Le Mans as well. I want to try asseto as well since it seems to be a bit more about fun but I can't even find the time to use iRacing as much as I should. Viper girl, that sounds like a hell of a setup. I would come visit but I don't think you would ever get rid of me. I just got a Playstation VR and haven't tried out the driving game (driveclub vr) yet, but if a racing VR game was paired with a seat like that I'd rarely leave the house except to drive the Viper. Looks pretty amazing, but 215lb max? This was a demo model... right or wrong... I think that was their way of controlling who got to use the sim at shows... The floor of the unit is motor operated to move the entire length depending on where you need the pedals. 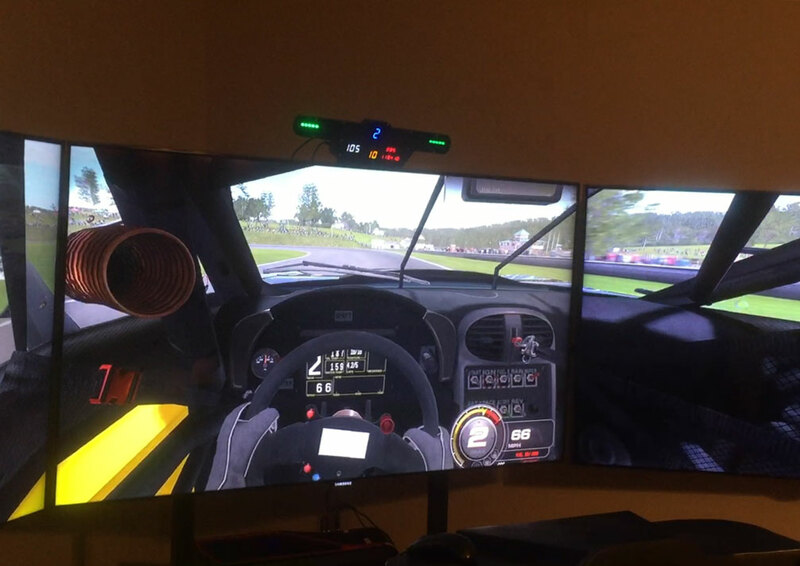 Vr is going to take sim racing to an unhealthy level of realism. Definitely will be a struggle to leave the house to go to work to make money to pay for the hardware. Sorry didn't see this until now. Not a brand name yet, 2 guys went into the project building these... something happened between them and they cashed out this unit. One of the guys who did the most building on it seems to be pulling together $ to make more on his own. Its a nice quality system, and who knows maybe the one guy will be able to pull it off on his own. Update - I stupidly bought Assetto Corsa because I have a weakness for the historic race cars I saw in the game (917/30, 962, Sauber C9, GT40) and after investing an hour or so I have to say I'm disappointed. My favorite part, the car sounds, isn't on par with iRacing or even something on console like Forza. The graphics to me don't appear to be that great. The menus are not as easy to navigate and don't seem as intuitive as iRacing in terms of tailoring your experience. Maybe I'm just not savvy enough with PC setup but the driving inputs are just way off. A slight touch of the wheel results in huge steering changes yet the opposite is true of the brakes. Jumping back into iracing was extremely difficult because the input timing is totally different. I find that this will keep me from jumping back into AC making it wasted money. I just haven't found anything in general that seems to be a true motorsports sim on par with iRacing. I guess it's not fair to not mention the positives though - AC did run smoothly without any work on my part and they really do have some great cars to choose from, but their track selection is quite poor IMO. It is nice that you can have some casual fun racing by just loading computer controlled opponents. Last edited by str5010; 11-29-2016 at 06:37 AM. Someone on the AMG run to Laguna Seca says she wants it for her husband.